The road trip is not a dying art, even with rising gas prices, but RVs are becoming increasingly more expensive to purchase. Especially if you want one that has some of the creature comforts you’re no doubt used to. 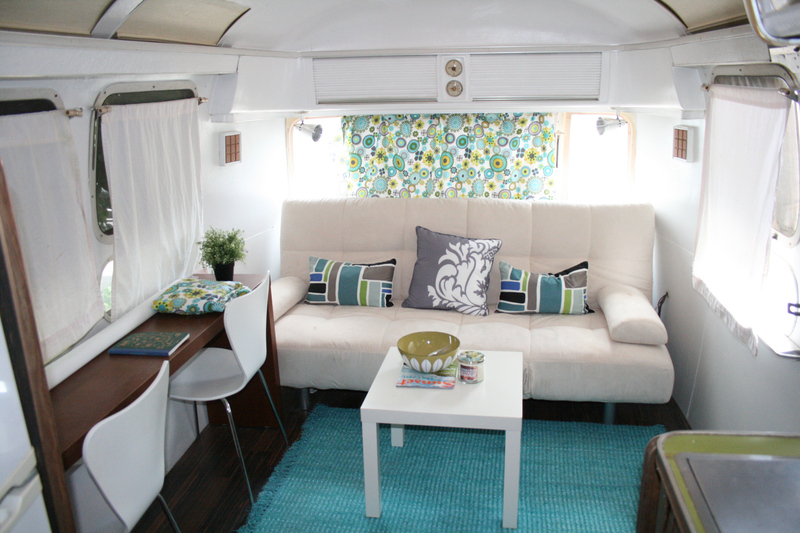 Here are some tips to help you remodel your RV, using affordable materials. Your guests will want places to sit, so you should pack some canvas camping chairs for outdoor use. Especially on cool nights. For inside the camper, you can make your own RV cushions out of foam padding and an upholstery cover. You can even order the foam custom-cut to the size you need in order to fit. It’s a simple way to add cushions without paying too much for it. RV bedding is simple enough with a latex or memory foam mattress. You can typically order pads in almost any size for just a few hundred dollars (some as low as a hundred or less). Combine your memory or latex topper with a more rigid foam pad below and you’ll have all the back support you need to get great sleep. Another option for those on an even tighter budget is to outfit your truck with a camper top, camper cushions and all the necessities. A cooler is great for most overnight road trips, but you might want to look into better cooling options for longer trips. You can try picking up multiple bags of ice as you travel, or you can see about installing a mini fridge into your truck.